The file "Readme. txt", which accompanies the patch with links, information, etc has been updated to 2019-03-26. Note: Strangely, the Trial version has not been released yet. Maybe this'll happen in the next few days. However, regardless of the version the internal applications will be the same. Host was kinda slow. Is this right Astron? you should specify what files are those hashes for. 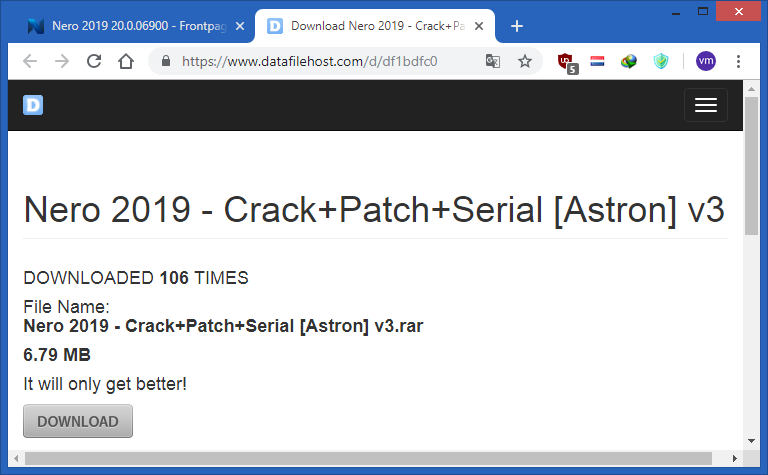 @Astron: can you please provide a duferent mirror for your patch? the one provided doesn't work ("
"the file you are trying to access does not exist. edit: scratch that, after several tries, it worked. See i told you it was slow. Host was kinda slo﻿w.﻿ Is this right Astron? Maybe it's a momentary slowness. I had no problems.